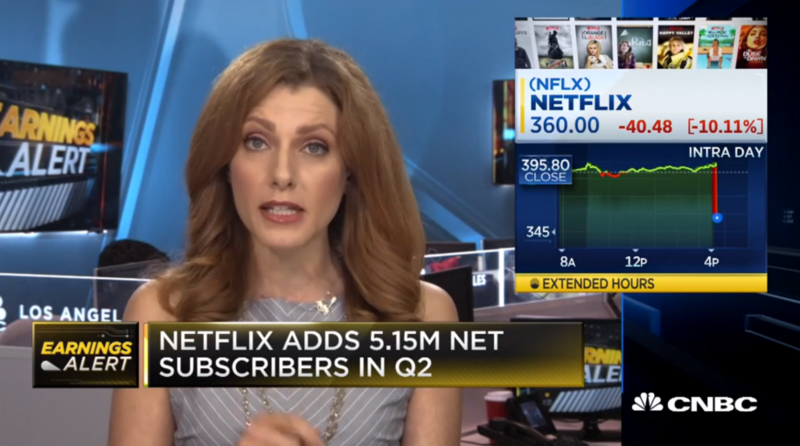 Netflix (NFLX) plunged over 14% after the close Monday afternoon following the release of its second-quarter report, which showed a considerable miscalculation of expected subscriber additions by the company. For the first time in five years, Netflix missed its subscriber addition projections by roughly one million, adding 5.15 million subscribers compared to its forecast of about 6.2 million. In terms of revenue, projections were just slightly off, with $3.91 billion in revenue compared to the $3.94 billion estimated. Analysts have expressed concern over whether or not Netflix would be able to sustain its share price growth, which is over 100% YTD. Concerns for Netflix are also growing over the increased efforts by competitors like Amazon, Disney, and Apple as they expand their streaming efforts and digital content.